Ah! The air is clean and crisp, and the scenery is stunning around our lovely Centennial apartments. It’s autumn at Greenwood Plaza. With the change of season, you may be in the mood to reorganize your wardrobe and get ready for all the season has to offer! Here are some tips for arranging your closet space to help you stay organized through autumn and beyond. We see these suggestions in many popular lists of top home organizing suggestions. With so many people praising these ideas, it’s worth giving them a whirl! 1. Make your morning clothes selection easy by ordering your closet by the days of the week. A time-saver as well as a space-saver! 2. Tie scarves on a hanger. A great way to keep each scarf unwrinkled and easy to select. 3. 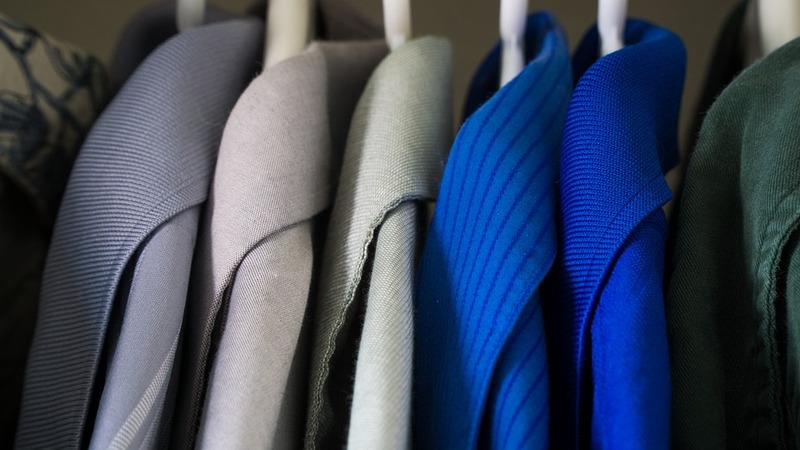 Color-code your clothes by the season. For example, hang your autumn wardrobe selection on bright yellow hangers, winter on blue, spring on green, and summer on red. Now, for a couple more space-saving ideas that you might not have considered. 4. You know that breakfast bed tray you haven’t used in a while? Set it up in the closet. It makes a great extra floor level for your shoes! 5. Have a pet carrier that you no longer use? Sanitize it and stack it at one end of the closet to store those clothes you won’t use until summer. An impressive amount of folded clothes can fit tidily in a medium-sized carrier, and the grated door on a typical carrier allows you to conveniently view what you’ve stored. Speaking of pets, did you know that Greenwood Plaza welcomes dogs and cats? Up to 2 pets are allowed per apartment. Our gorgeous apartments, in a variety of floor plans, offer plenty of amenities to suit your lifestyle, too. And if you’re searching for the perfect apartment community, we look forward to welcoming you as part of ours. Come visit our airy, pet-friendly apartments in Centennial. Enjoy a visual tour now by checking out our photo gallery on our website. Call (855) 273-3148 to learn more—and, of course, to check out our spacious closets. We look forward to speaking with you!